Performances: May 2, 3 & 9, 10 at 7:00 PM. Tickets are $16 for adults and $14 for students/seniors. Tickets can be purchased at www.lexingtonplayers.org, at The Crafty Yankee, Wales Copy Center or by calling (781) 910-8114. Group discounts available. 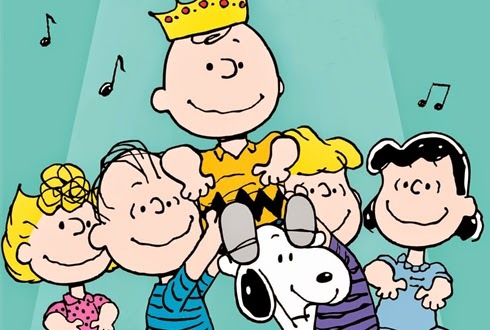 YOU’RE A GOOD MAN CHARLIE BROWN – “Good grief!” The perfect family show will be presented by The Lexington Players starring that loveable balding round-headed boy with unfortunate luck, and everyone’s favorite beagle at his side! Musical snapshots show Schroeder and Lucy at the piano, Charlie Brown and Lucy at the psychiatry booth, Linus with his blanket, Snoopy with his supper dish, and the whole gang at the baseball game. This award winning musical captures Charles Schulz’s ability to portray universal aspects of human nature through the mouths of children. People may remember the launch of Kristin Chenoweth’s career when she performed the song “My Philosophy” as Sally at the Tony Awards in 1999. While the title of the musical suggests a children’s show, there is something sure to be enjoyed and rediscovered by all ages. Happiness is two kinds of ice cream, sharing a secret...or reliving the sweet innocence of youth with Charlie Brown and Snoopy. Hilarious comedy animated by high-energy dancing create non-stop entertainment for adults and children alike. The Cast Includes: Eric Knight, Emma Stewart, Gabriella Huggler, Monica Whitlock, Declan Tellier, Zachary Sneeringer, Andrew Sneeringer, Lexi Welch, Tee Bartee, Tee Bartee, Sophie Kahn, Yoojee Kim and Hannah Taylor. Directed by Mario Salinas, Musical Direction by Bob Cook with Choreography by Katrina Rotondi. Performances: May 2,3 & 9, 10 at 7:00PM. Tickets are $16 for adults and $14 for students/seniors. Tickets can be purchased at www.lexingtonplayers.org, at The Crafty Yankee, Wales Copy Center or by calling (781) 910-8114. Group discounts available. If you would like to place an ad in the playbill please call (781) 910-8114 for information.